I really like this dinner! We have eaten it a lot lately but it is so tasty and easy to prepare that I imagine it will stay in the rotation for a while. 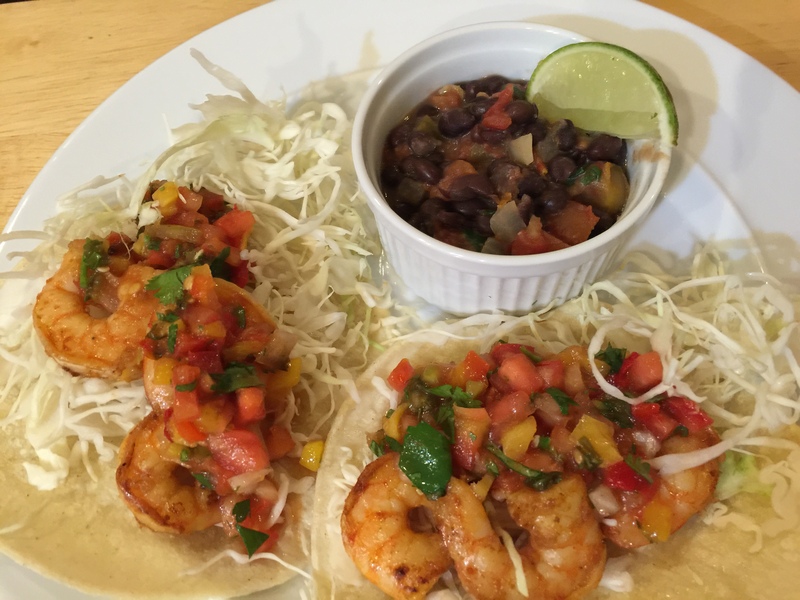 Basically season and cook the shrimp, warm the tortillas, add shredded cabbage and mango salsa for the tacos. Drain a can of original Rotel tomatoes and jalapeños and add it to a can of black beans along with some additional hot sauce. Dinner done! This entry was posted in Legumes, pescatarian, Shellfish, Vegetables and tagged black beans, cabbage, corn tortillas, salsa, shrimp, Tacos. Bookmark the permalink.